The Mercedes-Benz AMG E 63S 4Matic+ is the top-of-the-line E-Class and believe us when we say this, it can do 0-100kmph in a claimed time of 3.4 seconds. The Indian-arm of German automaker, Mercedes-Benz India has finally launched the most powerful E-Class in India, the AMG E 63 S 4Matic+ at a price of ₹ 1.5 crore (ex-showroom, India). After the Maybach S650, the new S-Class facelift and the GLS Grand Edition, the AMG E 63 S 4Matic+ is the German carmakers fourth launch of the year. The AMG E 63 S 4Matic+ is the top-of-the-line E-Class and believe us when we say this, it can do 0-100kmph in a claimed time of 3.4 seconds. 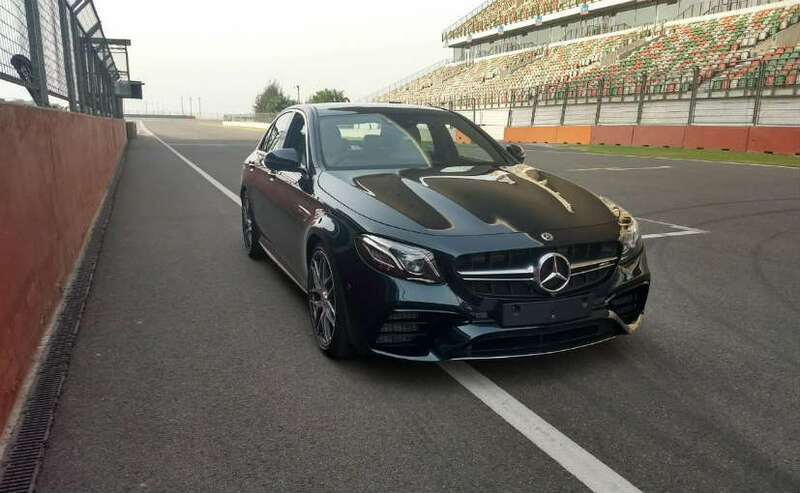 This makes the AMG E 63 S 4Matic+ faster than the AMG GT R, which was recently launched in India. In terms of competition, the AMG E 63 S 4Matic+ has only one competition in India currently, and it is none other than the BMW M5. First off, let's talk about the visual treat. Mercedes-AMG has retained some of the exterior profile from the standard E-Class on the AMG E 63 S 4Matic+. The smooth character lines are also retained from the standard E-Class. However, up front, the AMG Panamericana radiator grille is new, while the front bumper is also refreshed. It houses the slightly larger air intakes and the sporty exhaust setup at the back. The wheel arches are also slightly wider, half an inch to be precise, from the standard E-Class, but it's the matte-black AMG 20-inch alloy wheels that really steal the show. The side sill panels makes the AMG E 63 S 4Matic+ appear to sit even lower on the road and elongate the overall line. The rear end gets clearly defined spoiler lip in the color of the vehicle on the boot lid, the rear apron with diffuser-look inserts, and the two bright chrome-plated twin tailpipe trim elements on the selectable sports exhaust system. It also features a trim strip in silver chrome on the rear apron. At heart is where all the power lies. The AMG E 63 S 4Matic+ gets a meaty AMG 4.0-litre twin-turbo V8 engine that has the ability to produce 603bhp of max power and develops 850Nm of peak torque making it the most powerful E-Class ever made. 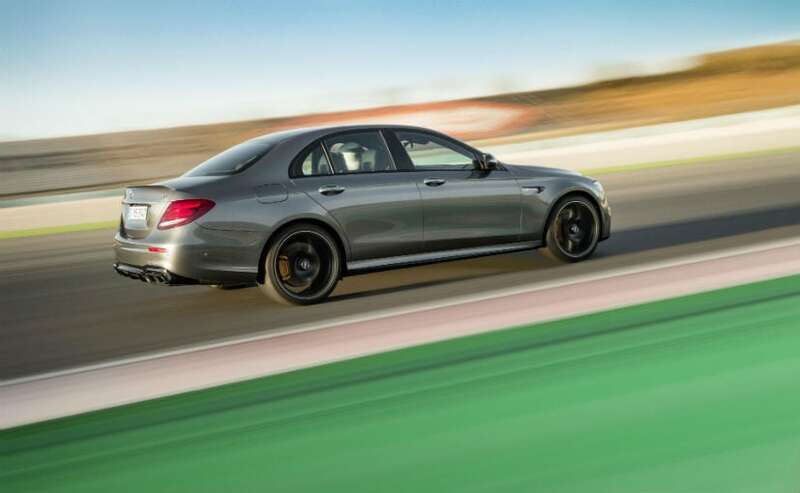 It can reach a top speed of 249kmph, but with the AMG Driver's package, the AMG E 63 S 4Matic+ can accelerate to 300bhp. The powerful engine comes mated to a nine-speed AMG Speedshift dual-clutch transmission and gets the AMG Performance 4MATIC+ all-wheel drive system. Adding thrill to the AMG E 63 S 4Matic+ is a feature called the Drift Mode, which is an electromechanically controlled coupling that connects the rear axle to the front axle. This is then calculated continuously according to the driving conditions and driver's input and is where drift mode comes into its own. Activate the Drift mode in the 'Race' drive program using the shift paddles, provided that ESP is deactivated and the transmission is in manual mode. 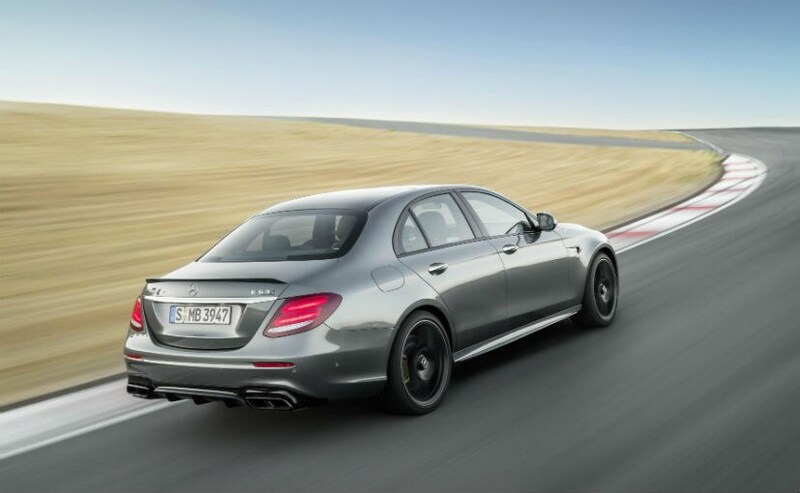 When drift mode is activated, the AMG E 63 S 4MATIC+ becomes a purely rear-wheel drive vehicle. Drift mode remains engaged until the driver deactivates it again.